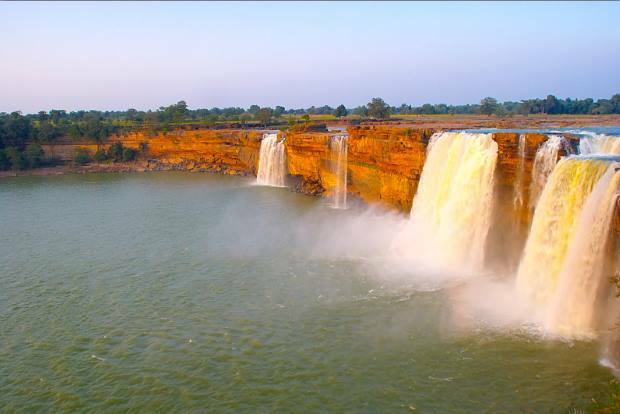 At a distance of 38 KM from Jagdalpur town this majestic water fall is one of the best in India. This water fall is not from big height ( 160 steps will take you to the bottom level of river ) but this wide waterfall with shape of letter C makes it more attractive. The area is full of rocks and easily tourist can visit close to the water discharge points. However tourist are strongly advised not to go to the edges of the fall as there are incidents of sudden water raising due to rain at upstream area. All visiting points are close to each other from parking place so not much of walking is required. Close to the waterfall there is a govt rest house and behind it steps are there to go down to river bed. There are 160 steps to go to the river bed. Here boating facility is available and charges are per head Rs 25/-. The boat man will take you close to the water falling point and you can enjoy the fall more but the moisture and splash of water will make you drench. Keep some water protection for your cameras. 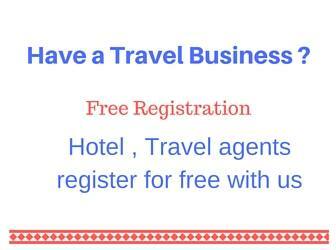 Here there is no camera fee, no parking fee, no entry fee or any other type of fee. Lighting arrangement is there to illuminate the fall in evening time. Plan to reach here around 4 PM so you can spend around one or two hours and also watch the fall in light during evening hours. It is advisable to visit this waterfall in the afternoon hours. Sun light will directly fall on vertically falling water from the river and gives best view. You will find local tribes of this region selling beautiful handicraft items to the tourist in small shops. As Jagdalpur have two popular waterfalls, you can visit both in same day. First in morning visit Tirathgarh waterfall ( near by Kutumsar Cave also ) and afternoon visit Chitrakoot waterfall. Both these waterfalls are in different direction from Jagdalpur so you to return to Jagdalpur after visiting any one. Dandami Luxury resort of Chhattisgarh tourism is located near to Waterfall. If you have plan to stay then reach here in afternoon and next day you can watch the fall in morning sunlight and return to Jagdalpur ( checkout time is 12 noon ). However most of the tourist return to Jagdalpur after visiting the water falls in same day.